CampbellReith provided Land Quality environmental due diligence to inform potential liabilities associated with a takeover bid of a Paper Mill site which straddled the Great Stour River. CampbellReith conducted a comprehensive review of the hazardous substances currently and historically utilised on the site & appraised their potential for causing contamination of the ground based on the chemical nature, form and practical uses. A major asset of the Paper Mill business was the value of the site itself. The environmental due diligence was required to assess the potential liabilities associated with land contamination which may affect the potential land value. The comprehensive background research allowed a cost effective ground investigation designed to appraise potential sources and pathways where hazardous substances may present an environmental risk to identified receptors. The ground investigation results informed the assessment of potential risks associated with the ongoing operation of the Paper Mill. 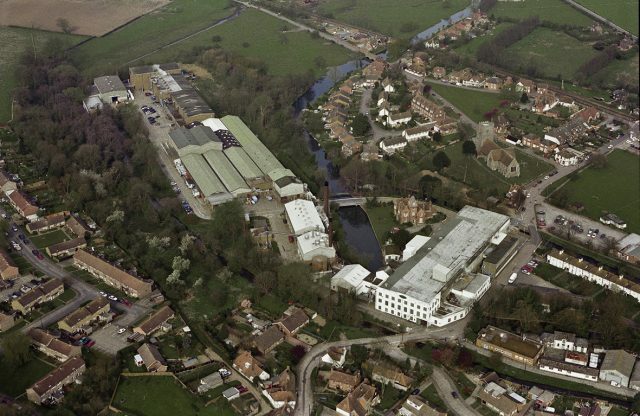 The Mill has been situated at the site since the early 1700s, originally water powered by the Great Stour River. The mill was understood to have originated as a cotton mill before becoming a paper mill, specialising in tracing paper during World War II. Present day it continues to produce high quality tracing paper and operates a combined heat and power plant which has a large diesel tank as back up fuel. During the investigation hydrocarbon contamination was encountered in the vicinity of the diesel tank, which coincides with the location of the current and former engineering works. Upon further testing and interrogation, it was established that the contamination was unlikely to be leaking from the currently existing diesel tank and more likely associated with historical engineering use in that location.